(L to R) Steve Filipov, Frank Eschbach and Michael Zieger. Bad-Schönborn-based crane service provider, Eschbach, is the first German customer to order the brand new Demag AC 300-6 all terrain crane. The contract was signed on Oct. 23, 2017 while the Demag AC 300-6 and AC 45 City were being showcased in Zweibrücken, Germany. Terex Sales Manager Michael Zieger and Terex President Steve Filipov congratulated their customer on the new acquisition in person. General Manager Thomas Eschbach made the purchase decision for the Demag AC 300-6 crane. The 80-meter-long main boom, together with the crane's powerful performance characteristics, was the main driving factor behind his choice. 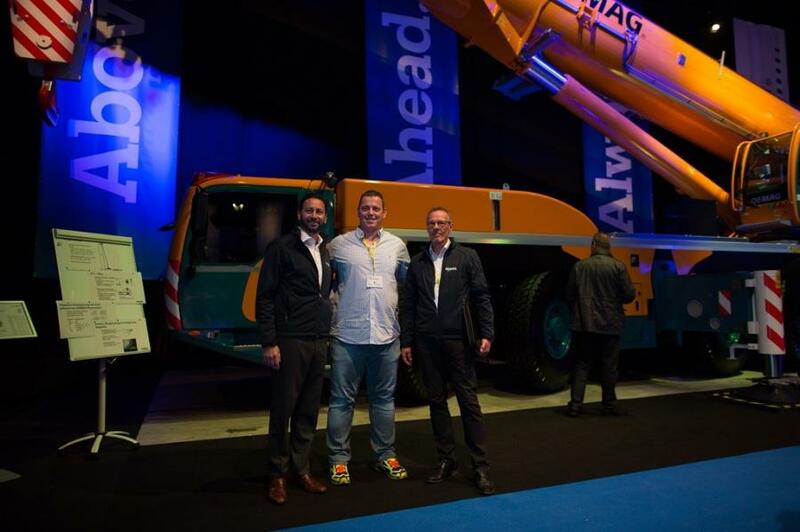 “The AC 300-6 can lift a full 15 tonnes even with its main boom fully extended – that's a monumental achievement for this lifting capacity class,” Eschbach said.